We use for our ST-Electro a brushless electric motor with direct drive. Skyjam Aircraft cooperates since 2008 on the development of this engine. The goal was to develop a slowly running engine with high efficiency and without temperature problems. The direct drive makes it possible to use the motor without reduction. This reduces the additional weight, does not cause loss of energy and makes the engine maintenance easier. With this, we could develop the engine that has a small weight in comparison with its very high power, a torque with small rpm and an excellent efficiency. The drive unit is manufactured in Germany according to the strict criteria for the flight use. Moreover, before delivery, each unit is individually examined and every detail is conscientiously tested. Due to the sufficient dimensioning, the engine has constant power output at each rpm and does not have any problems with the temperature. All electric and electronic components are configured in such a way that the engine still has sufficient reserves also by the maximum power (200A/16Kw). Thus the system is never overloaded and brought to its power limits. 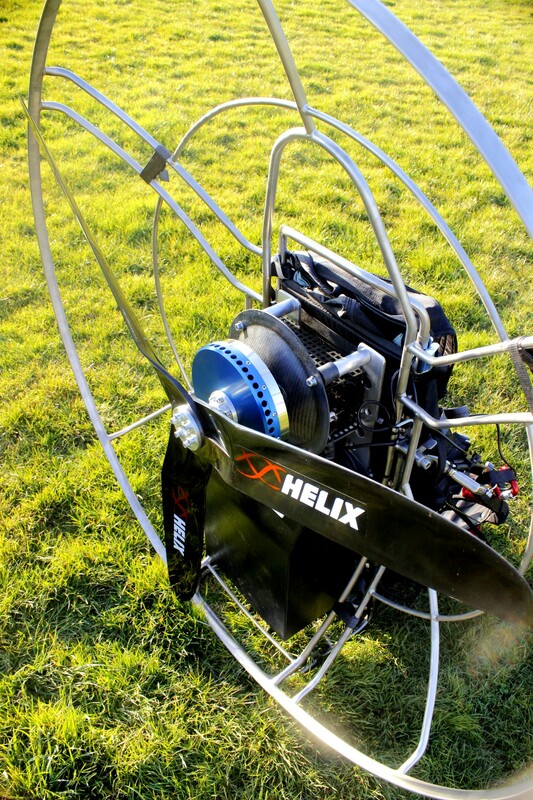 In this way, we could maximize the lifespan of the whole motor and the safety for the pilots. The size of the battery is selected and dimensioned so that it is not overloaded also with maximum power output (>200A) and the increase of the temperature stays in balance. There are always enough reserves, ensuring maximal life span and security for the pilot. For the fabrication of the battery only the best cells are used (approx. 10% of the whole battery production). Each cell is individually examined and tested before being used for the assembly of the battery. The batteries are assembled in Germany just after ordering and tested before the installation in the aircraft in Switzerland. All our batteries are equipped with the most modern BMS, which greatly outperforms the usual systems on the market in its functions. The most important features are: cell protection, charging control, load management, assessment of the charging state, assessment of the cell health, balancing the cells, recording the history, authentication, and identification of all components, communication with the engine controller and management of the temperature. Beyond the functions of a conventional battery management system, our BMS provides also safety function for the drive system – the active circuit-breaker (power switch). The circuit-breaker gives always exactly the amount of electricity to the drive system as it is demanded from the batterie. If the system requires more electricity as the battery is able to provide the BMS switches the energy path off in less than 9µs. The same overload management applies to the charging process. 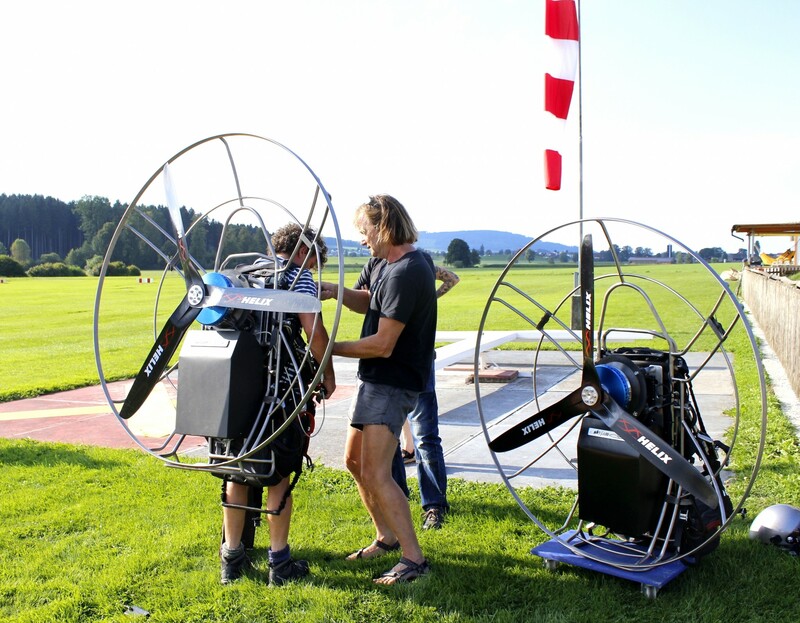 In this way, both systems are not only safe against the short circuit, but they also protect the pilot from risks which can emerge while using high performance batteries. 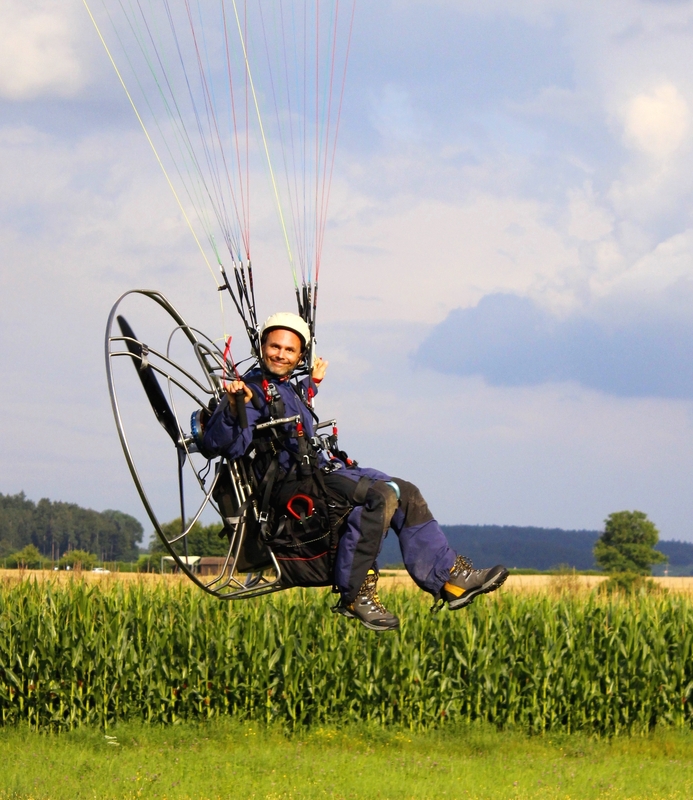 The battery can be charged unsupervised in the paramotor or outside of it. Switching-off is automatic. The intelligent charging and discharging system allows 800 – 1000 load cycles (>80%). The frame is manufactured from high-quality titanium, which is also used in other fields of the avionics. During the development of the frame we paid attention to the balance between weight, maximum safety and practicality. 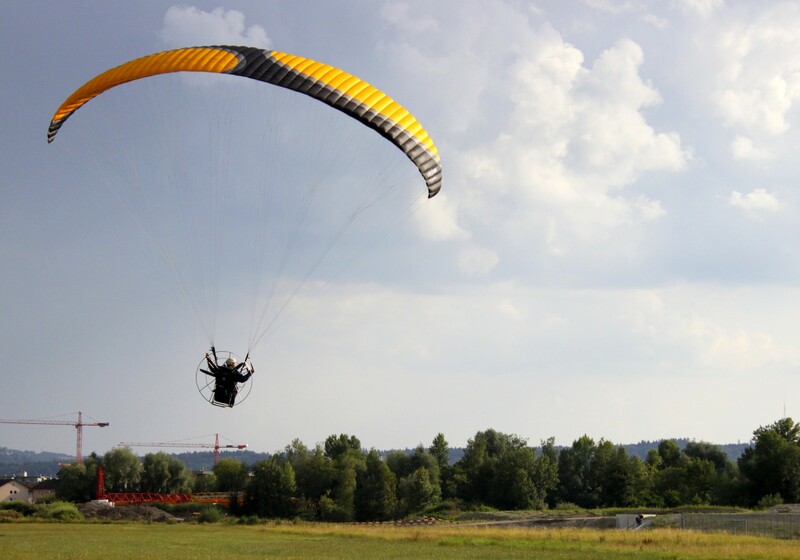 Not every takeoff and every landing is perfect – so the frame offers the best protection of the pilot and of the whole system. That was the goal, which we have certainly reached. This concept is completed by our stable harness with airbag, a tight belt system and an integrated reserve container placed under the carbon seat. When producing the ST-Electro we do not use any components from a cheap industrial production. 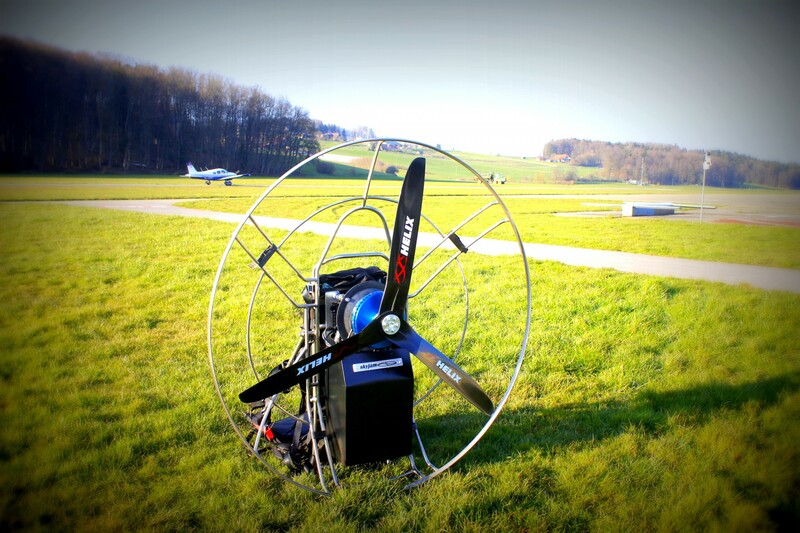 All parts of the complete system are developed for aviation and optimized by us. We started the serial production in 2008 and one year after, in 2009, obtained our ST-Electro German certification. Different parts are produced in Switzerland, which enables us to adapt the whole system to the individual wishes of our clients. We hold the tradition of a Swiss company with well-engineered design, great quality service, and highest security. Want to know about skyjam news? Don´t miss any interesting news from Skyjam. ST-Electro the fifth generation is here! ST-Lizard is here – our lightest electric engine.